Choosing a residential community where you or an aging loved one will spend the golden years is a huge decision. And these days, there are more choices than ever of a higher caliber than ever before – instead of the dreary retirement homes of the past, today’s senior living communities are vibrant centers where older adults can do everything from learning a new computer program to getting their nails done or taking in a local museum with their fellow residents, all while receiving any assistance they may need. Those searching for senior living options will make their decision based on a variety of factors – including the level of care needed, the planned length of stay in in the community and the specific amenities, special features and social atmosphere that can have a big effect on quality of life. This list of the most-acclaimed senior living communities nationwide helps you wade through the dizzying array of residential senior care options available, using reviews from consumers just like you across the U.S. This year, we’ve added a few new types of senior living communities to the list – in addition to top-rated assisted living and memory care communities, we’re also awarding Caring Stars to highly rated independent living communities and care homes. We made the requirements for this honor more stringent this year – which means that the winning communities had to have a high volume of positive ratings (and a response to every negative review) in order to be listed here. 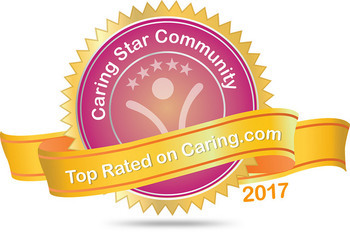 Click on the state tabs below to see which communities earned the Caring Star distinction in your state this year. See the first-ever list of in-home care agencies to earn the Caring Stars distinction.